Hi there! 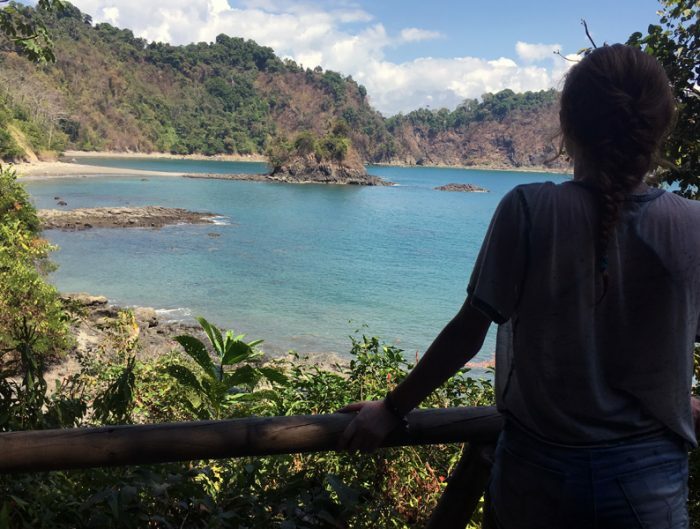 So you’re thinking about studying in Puntarenas? 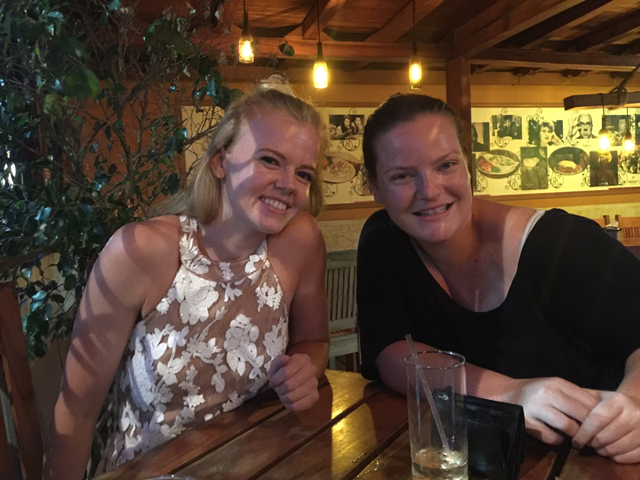 Well, join me on a tour of the city and see why Costa Rica is a perfect place for you! 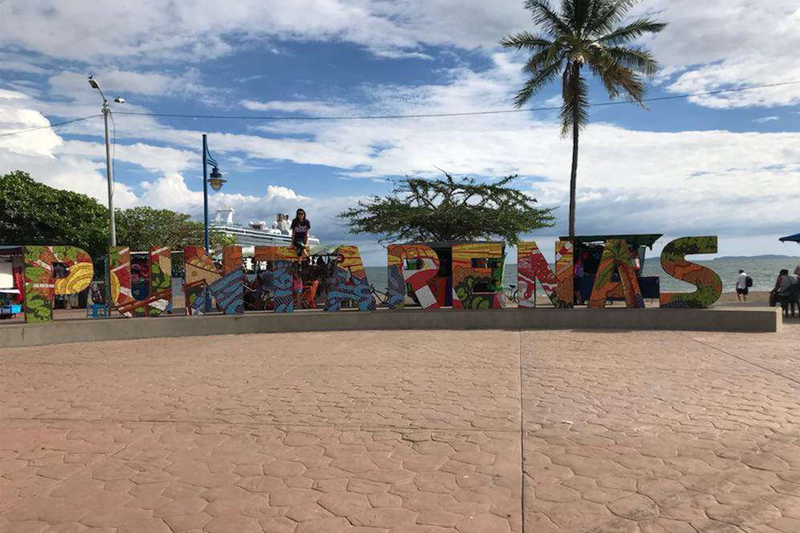 For starters, Puntarenas is a unique town. Even though it has one of the main cruise ports in Costa Rica, it still remains authentic. On weekends, it’s common to see booths with the typical touristy things (such as clothing, necklaces/ bracelets, handmade souvenirs, etc) and local foods (gallo pinto, ceviche, kebabs, mangos/coconut, etc) for sale, and this is the only time I’ve run into other Americans. The remainder of the week we are completely immersed in the Tico culture and the Spanish language. Being a peninsula, the width of the town is less than four miles long and a quarter mile wide, with views of the ocean on either side. 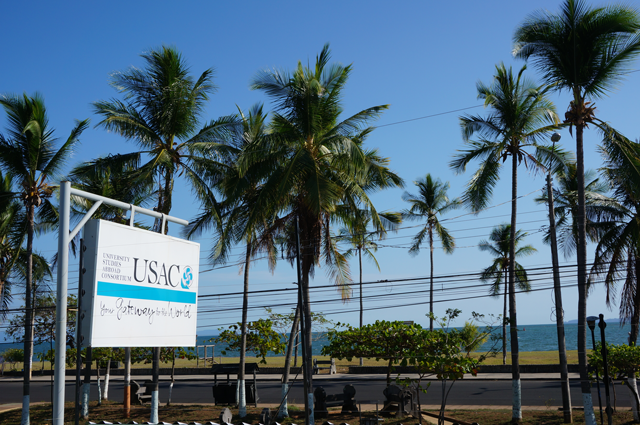 On the main strip in Puntarenas, facing the ocean sits the USAC building. 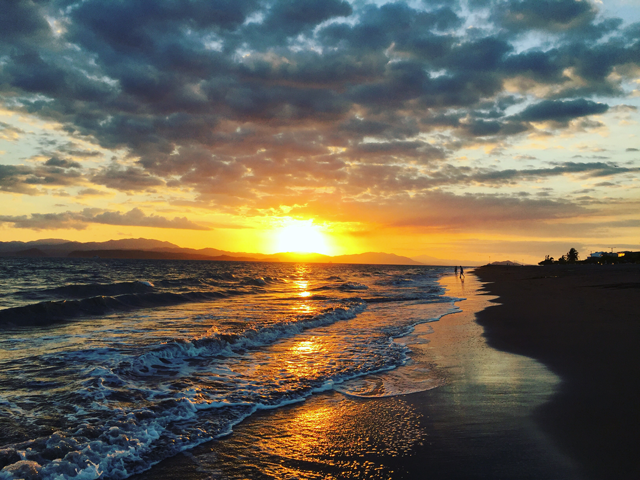 It’s perfectly centered between the lighthouse and the town center, and only a 30-second walk to Paseo de los Turistas (main beach). Often, dance and cooking class end right before sunset and a lot of us meet on the beach to watch the sun slowly fade behind distant islands. The lighthouse is an icon of Puntarenas and when standing beneath it, overlooking the ocean, it’s easy to understand why. It’s about a 20-minute walk from the USAC building and along the way you’re aside the ocean while passing basketball courts, skate parks, playgrounds, trampolines, benches, food vendors, and locals sitting out with their friends and family enjoying the surrounding beauty. Close to the lighthouse is the ferry loading dock. For 800 colones (~$1.60), you can catch a ferry to Paquera, then take a bus to Montezuma, San Teresa, and many other popular destinations. 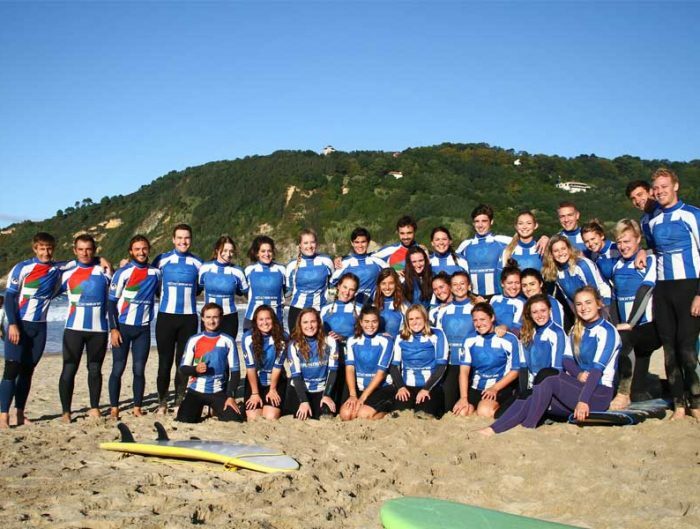 The USAC staff takes you on field trips to many of these places throughout the program. As far as food is concerned, I have yet to eat at a restaurant here that exceeds the incredible food prepared by my host family. I don’t know how my host mom does it, but the second I get home there’s a hot plate of traditional Costa Rican food waiting for me. Breakfast is consistently a bowl of fruit and a cup of coffee. 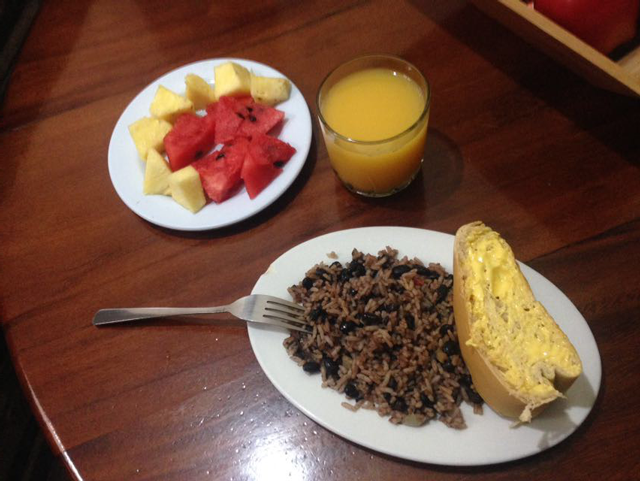 Lunch and dinner almost always contain gallo pinto with sides of either meat, plantains, or salad. I can’t emphasize enough how incredible this food is! A large portion of my USAC group this semester is vegan/vegetarian which, according to my host family, is super common and super easy to accommodate here. Also, the fruit is AMAZING! As far as eating out goes, there is a smoothie stop one block from USAC. 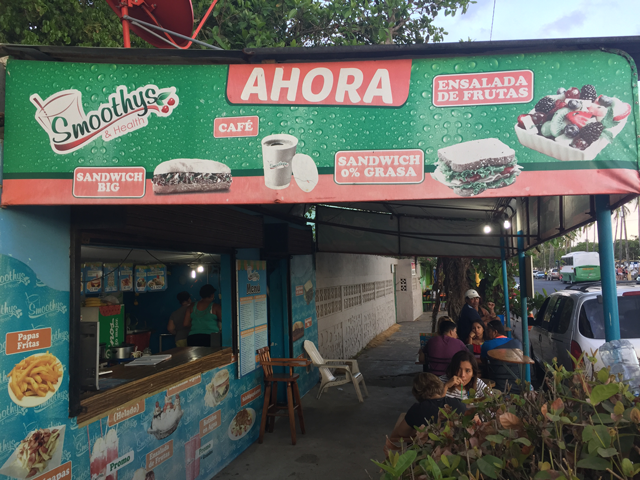 They have juices, smoothies, protein shakes and milkshakes from about 1000-2500 colones (~$2-$5 USD). Also near USAC is Matobes, an Italian restaurant with the most incredible thin crust pizza, cow-zones, garlic bread, pastas, and raviolis. They have vegan options as well! Yellowfin, a bohemian styled restaurant roughly three blocks from USAC, has student discounts, a young friendly staff, and an overall great atmosphere for studying. 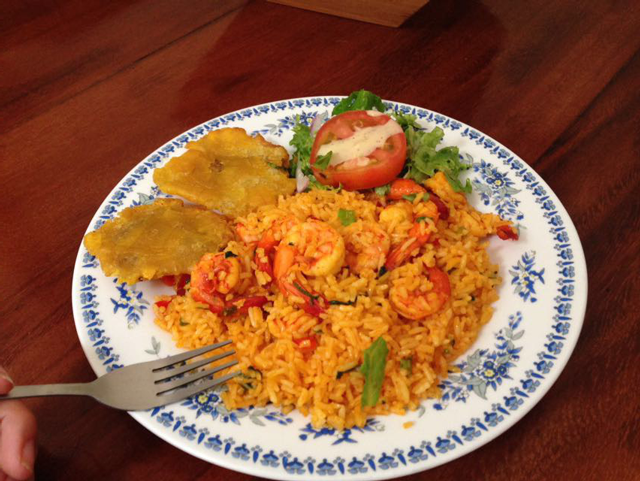 Now, these are only a few of the many restaurants in Puntarenas! The entire strip of buildings facing the coast has a variety of restaurants, bars, and hotels. Las Brisas, a hotel closer to the lighthouse, has an agreement with USAC that allows students access to their common area and pool. It’s been an awesome place to escape the heat and study with friends. 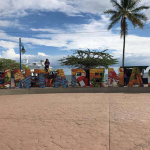 This is just a quick introduction to the wonderful city of Puntarenas. With so many great places to explore, eat, and hang out, I guarantee you’ll never get bored! 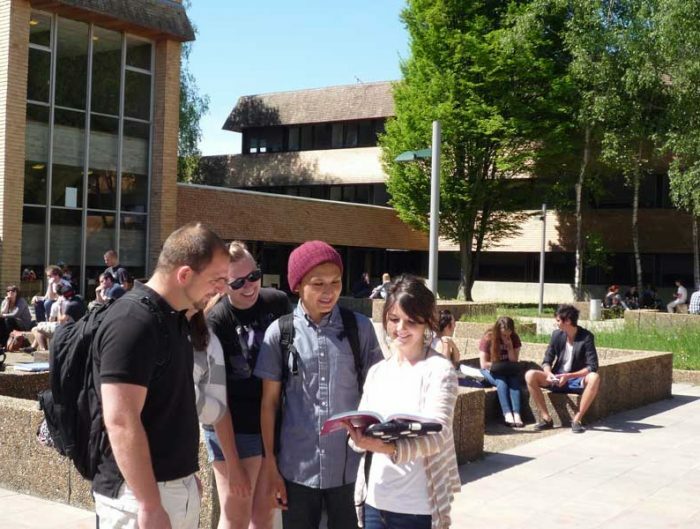 The USAC staff goes above and beyond to ensure your experience is nothing short of exceptional. Be sure to take advantage of the surrounding beauty and all the adventurous opportunities available to you! Hasta entonces, mis amigos, Pura Vida! 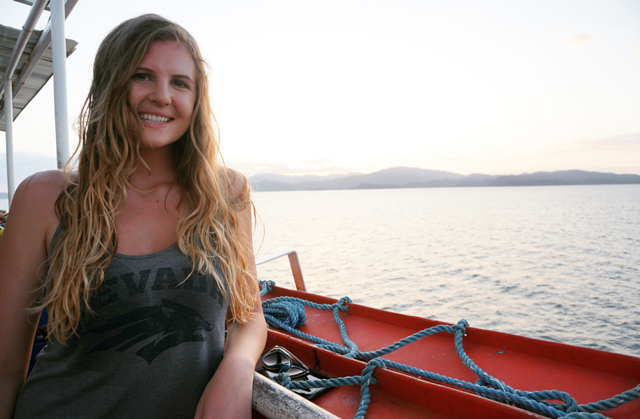 Kaitlyn Lera is a University of Nevada, Reno student. She is currently studying abroad in Puntarenas, Costa Rica and serving as a Digital Communications Intern for USAC.